Join Catherine on Saturdays, April, 13, 20 & 27 from 10 – 12pm. $85 plus materials. Stretch your knitting skills with this timeless, elegant cardigan. 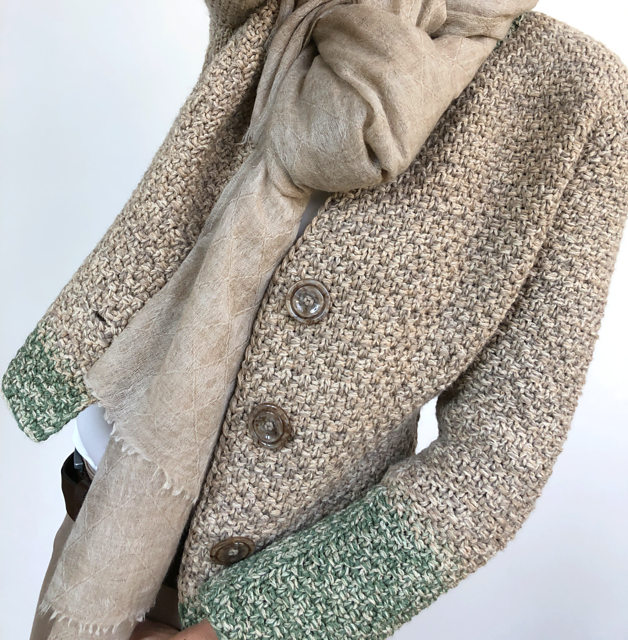 This well constructed, tweed-like cardigan can be tailored to suit your taste and style. Knit with multiple strands of yarn, or single stranded,with or without buttons, it’s up to you!